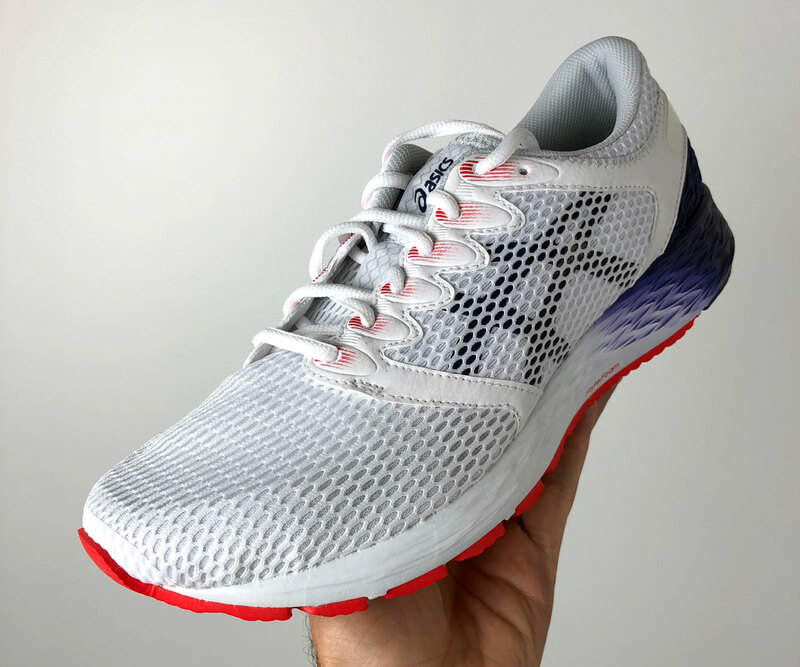 Austin: The Roadhawk FF 2, still priced at $100, is the first ASICS model to incorporate a full-length FlyteFoam Propel midsole. 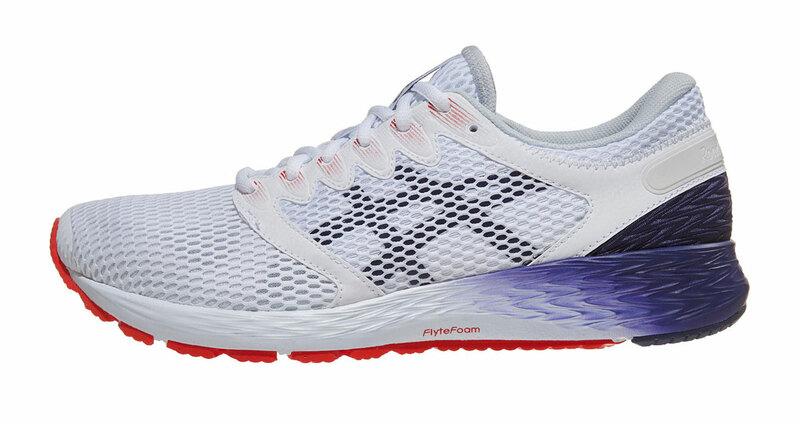 According to ASICS, this “highly springy TPS elastomer” enhances bounce and toe-off. Like the first Roadhawk no doubt, the Roadhawk 2 exhibits a firm ride, a workhorse suited for easy runs, long runs, workouts, and races. Personally, I like the pop and toe-off in the versatile Roadhawk. The midfoot saddle keeps the feet in place well. Sizing is true, and toe box room is sufficient, albeit slightly narrow. Outsole durability, courtesy of ASICS High Abrasion Rubber (AHAR), should not be a concern—it’s not for me thus far. Thomas: The mesh upper that some people might call old school looks great to me and it also performed well keeping the shoe breathable. While I don’t have wide feet, the toe box is accommodating, I had plenty of room for toe splay. 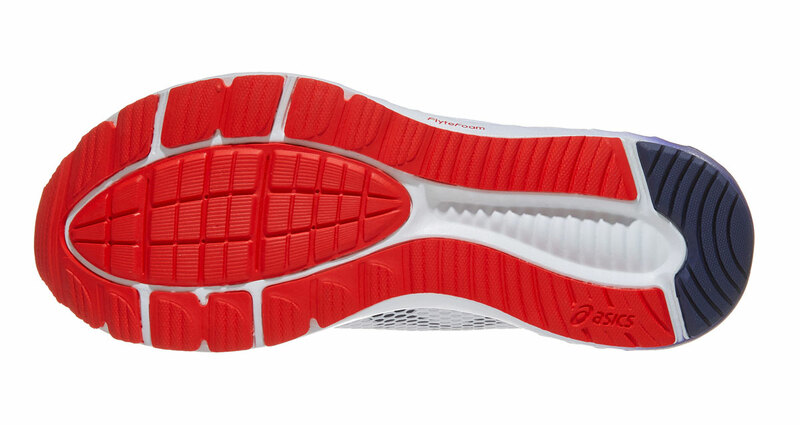 The Flltefoam midsole is firm with enough give for a comfortable ride. As Austin mentioned there is full rubber coverage on the Roadhawk FF 2 for traction and durability. 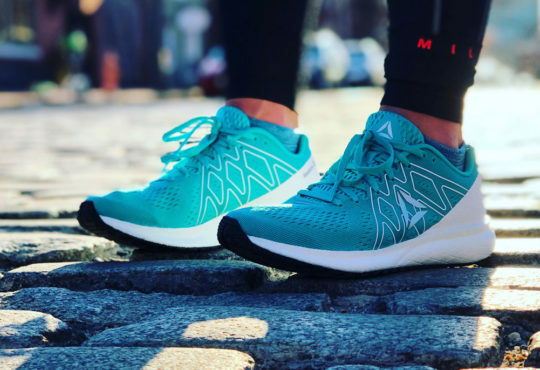 Meaghan: The original Roadhawk was a nice surprise from ASICS, a brand that I associate with heavier trainers like the Gel Kayano. While the Roadhawk FF 2 looks similar to its predecessor, it has several notable updates. First, the upper design – what used to be a combination of open and engineered mesh is now all open mesh. It’s not quite as stretchy as the original, but it’s breathable. 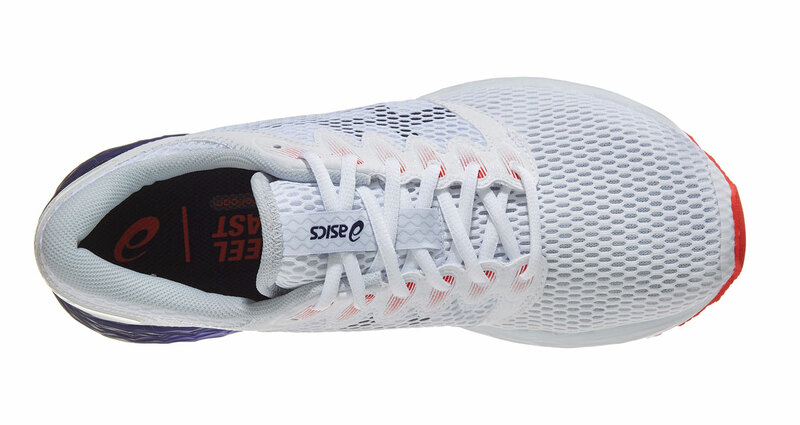 The midsole is made entirely of ASICS’s Flytefoam Propel material. It has a comfortable step-in feel but runs firm. The outsole is lined with high abrasion rubber which is durable stuff. 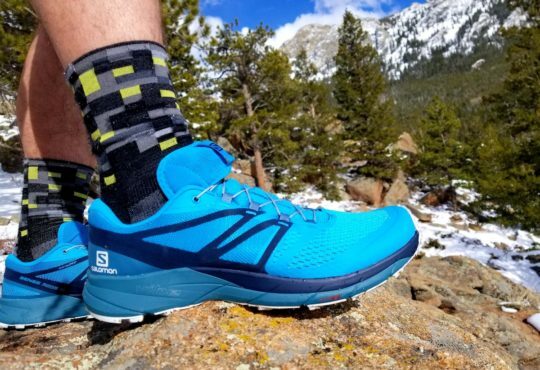 You will get plenty of miles out of these shoes. Austin: Like me, you’d think the language of this sort (“highly springy TPS elastomer”) would suggest a weight reduction, but the Roadhawk 2 put on 1.6 ounces (8.1 to 9.7 ounces in a men’s nine). That’s a substantial figure in light of the praise heaped on the original Roadhawk for its light nature. To put another way: I wrongly assumed that FlyteFoam Propel would lower the weight. That said, the ride remains solid. Next, I’m not given to criticizing design much as I favor function over fashion, but the retooled, stiff mesh upper in the Roadhawk 2 gives the shoe a dated look compared to the original. Does anyone else feel this way? I like the color pattern I received to test. Gray always garners my attention. Finally, the midfoot saddle created some mild pressure around the first eyelet on my left foot, though it subsided during my runs. I didn’t observe any redness or blisters afterward. Still, the midfoot stitching may irritate some feet. The same goes for the stiff heel with minimal padding. Thomas: Unfortunately, the Roadhawk FF 2 is heavier than the original. It always makes me confused when a shoe gets heavier without adding some sort of advantage to the runner. Additionally, the Roadhawk FF 2 lost a unified feeling in the midsole. 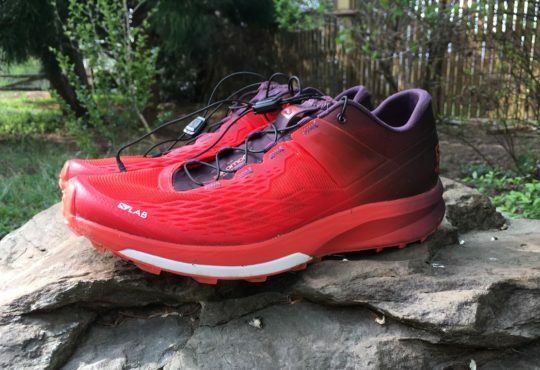 The firm heel and softer forefoot made my stride feel disjointed. If you told me the Roadhawk FF 2 was now a stability shoe, I would believe you. 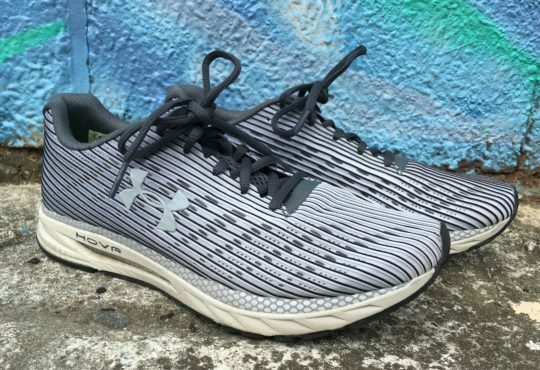 The heel is so firm that it mimics some stability trainers. Lastly, I did get some rubbing from the heel counter. Two things might be at play here, one, the firm midsole under the heel, and two, the padding in the heel counter is sort of like a donut. The counter did not bite me as bad as it got Meaghan, but it did cause some discomfort. Meaghan: My first run in these shoes left me with a gnarly blister and a walk home with one shoe on. They say excessive sweating causes the skin to soften, making feet susceptible to blisters, so I won’t blame the shoes entirely – it was a day that “feels like 103,” and I was sweating profusely. With that said, the shoes feel too snug around the heel and collar for my liking. I had to wait over a week to put them back on for some more miles (thank you Nexcare bandages for making running possible during this time). My original Roadhawk FF weighed 6.8oz, while V2 comes in at an 8.4oz, quite the substantial weight gain. I will never understand why shoe companies do this. Austin: Like Thomas and Meaghan, I usually sidestep the ASICS brand as their running shoes tend to be heavy. However, I’m warming to their selection as of late as I regularly rotate the Roadhawk FF 2 and DynaFlyte 3 for all of the noteworthy observations that emerge concerning comfort and ride. Despite the stiff nature of the Roadhawk 2, I like the ride. 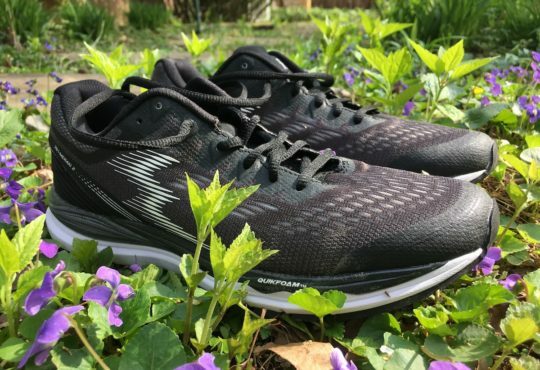 Step-in comfort lacks, but the FlyteFoam Propel midsole delivers a snappy ride across various paces and distances without being overly harsh on my metatarsals as a forefoot striker. The $100 price point should not be overlooked either. I for one will be watching the December 2018 Best in Gear awards to see whether the Roadhawk FF 2 retains its title as Best Daily Trainer or relinquishes its crown to another brand. Nike, anyone? Thomas: The Roadhawk FF 2 is a completely different trainer than last year’s Roadhawk FF. Some of the changes are good, but the midsole feel had me scratching my head. 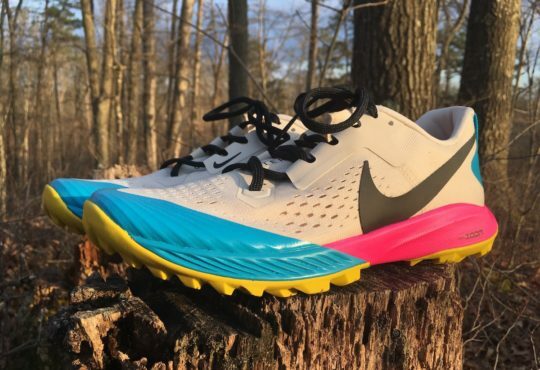 While I feel the Roadhawk FF 2 is an average trainer, the price point gives it an edge on some daily trainers, however, The Nike Pegasus 35 and New Balance Beacon for $20 more are vastly superior to the Roadhawk FF 2. If you really want to save money go with the Skechers Ride 7 for $90. The Roadhawk ff 2 has an 8mm drop and weighs 10.25 ounce/291 grams. Meaghan: I was really excited to try out the second iteration of the Roadhawk. Unfortunately, it didn’t gel with me. The weight increased and the comfort level decreased. While the step-in cushioning feels Ok, they are pretty stiff out on the road. The only redeeming quality I see is the price point. You can snag a pair for $100, and if you like the fit and feel, you’ll get plenty of mileage out of them.